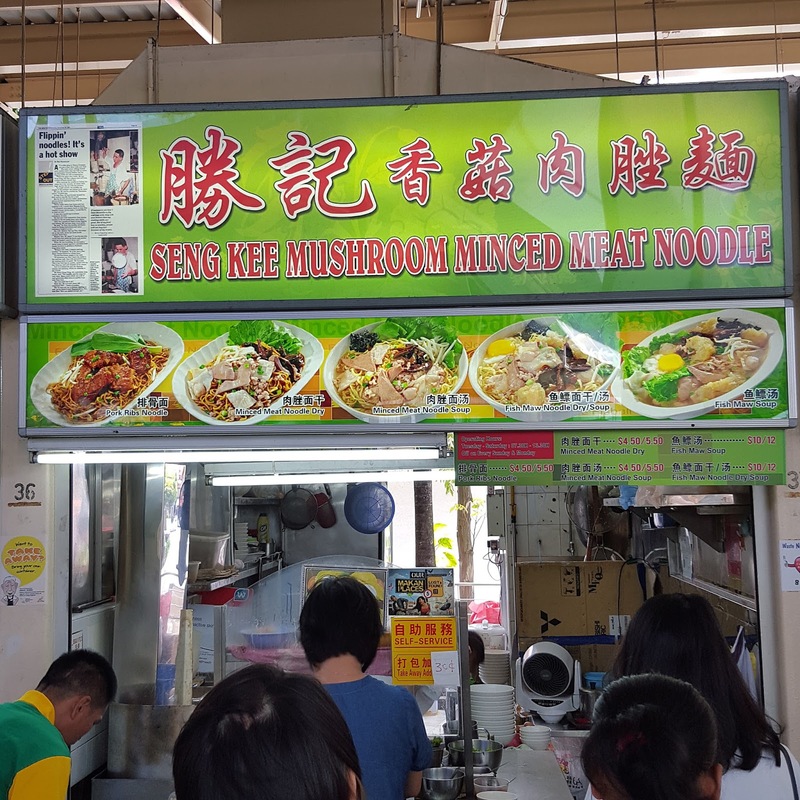 Seng Kee Mushroom Minced Meat Noodle 胜记香菇肉脞面 is a popular minced meat noodles stall. 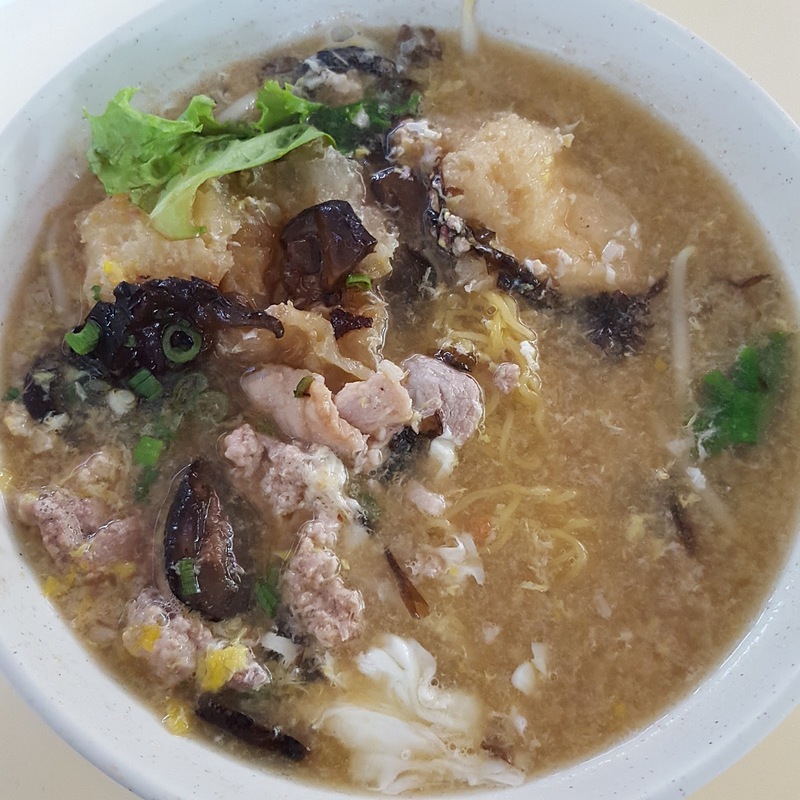 Its unique selling point is and most popular dish is in fact another dish; Fish Maw (鱼鳔) Noodles. 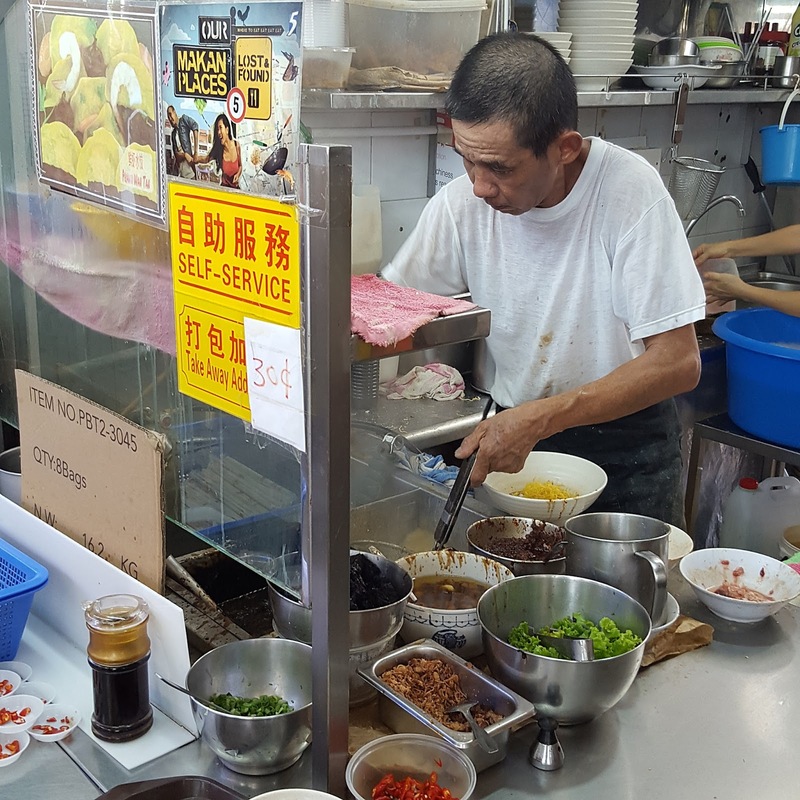 It is indeed surprisingly that a hawker stall would sell fish maw as it is considered a luxury item that is more commonly sold at a restaurant. This stall has been so successful in this dish that most people who patronise the stall would not hesitate to order this dish. The stall has been in operation for more than 30 years. It used to be located at Eunos before moving to Changi Road and eventually to its current location at Serangoon Garden Market & Food Centre. When we visited this stall on a weekday afternoon at lunch time there was a queue of 8 persons. The queue was slow moving as each dish was cooked individually. This was also one of the few stalls where there was a perpetual queue. We ordered the Fish Maw Noodles (Soup) $10 and Minced Meat Noodles (Dry) $4.50. If you are visiting Seng Kee Mushroom Minced Meat Noodle, you have to order their signature Fish Maw Noodles (Soup) $10 since this is a dish that is not available at other hawker centres. The soup was robust and tasty with a natural sweetness. Moreover, it had a unique smokey fragrance in it and the bites of dried fish sole enhanced the taste of the soup. No wonder most of their customers ordered the soup based version. 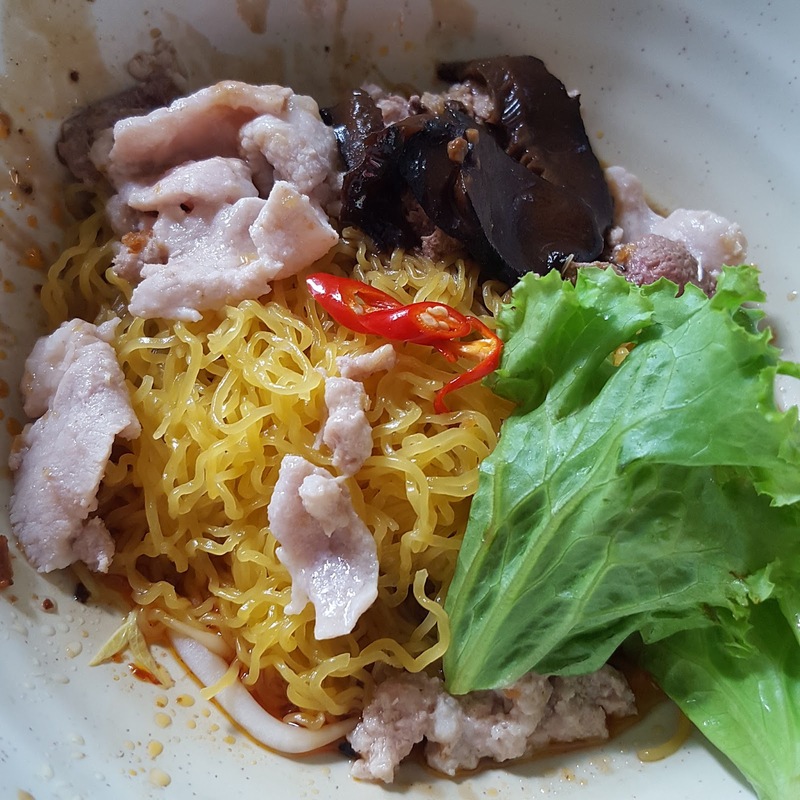 The Minced Meat Noodles (Dry) $4 (also known as Bak Chor Mee) was quite unique as the sauce used was a concoction of dark soya sauce (instead of vinegar), mushroom sauce with chilli. The serving of ingredients was also very generous. There were many slices of lean meat, pork liver and minced meat. There were also lots of beansprouts at the bottom along with fried pork lard and dried sole fish. What I liked most was the amount of braised mushroom given. 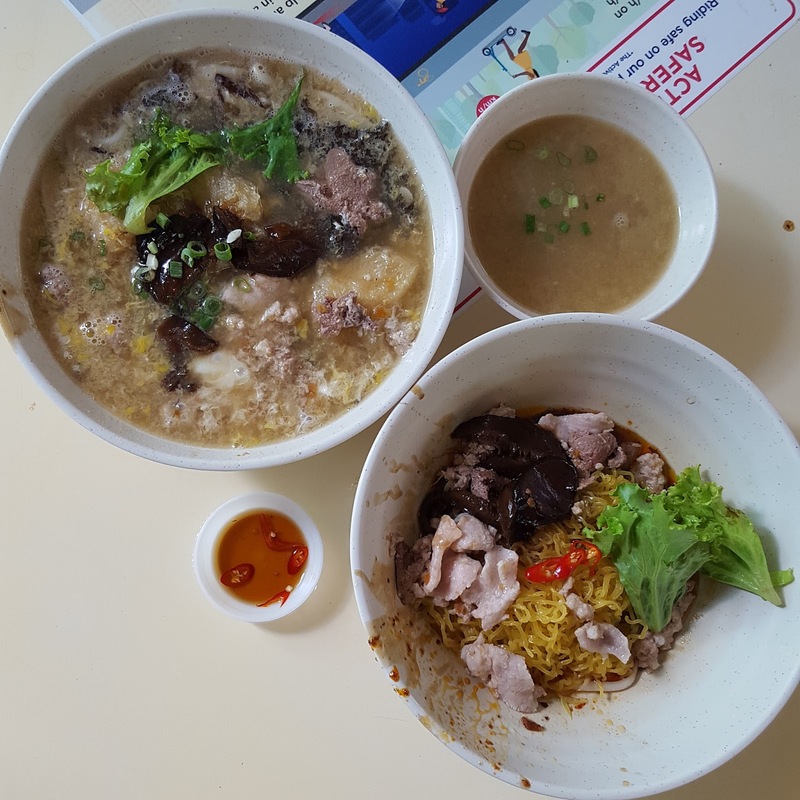 Most minced meat noodles stall no longer cook and provide this, even if they do, they would just provide 3 slices. 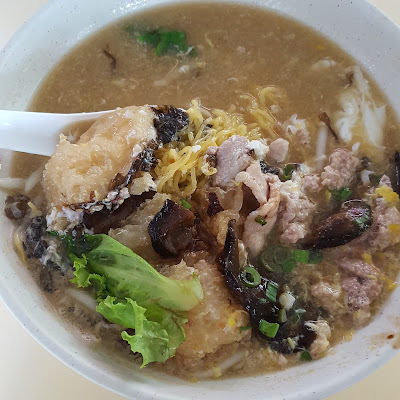 If you are at Serangoon Garden Market & Food Centre, do give their Fish Maw Soup Noodles dish a try. Its real good!